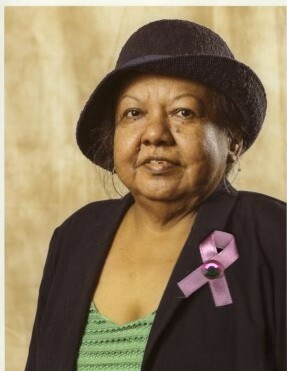 Carmen Luisa Ayala, 60, of Belleville, N.J. passed away on Tuesday, January 22nd, 2019 at her home, surrounded by her loving family. Carmen was a breast cancer survivor who fought the good fight until the very end. She came to new Jersey in 1981 from Guayaquil, Ecuador. She worked as a Home Health Aide, as well as other occupations. Carmen leaves behind to cherish her memory her Mother, Maria Elena Ayala (nee Cruz); her seven Siblings, Maria Elena Palma, Sara Y. Ayala, Roberto P. Ayala, Lourdes R. Ayala, Marlene P. Ayala, Luis F. Ayala and Sylvia P. Ayala and many nephews and nieces. Relatives & friends are invited to attend the Visiting on Thursday, 1/24, at the funeral home from 4:00 - 10:00 pm. Funeral Service 10:00 am Friday at the funeral home, leaving at 11:00 am for the interment at Holy Cross Cemetery, North Arlington.